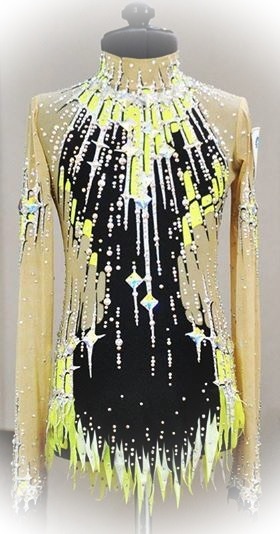 Leotards are a one piece garment which can be with or without sleeves. 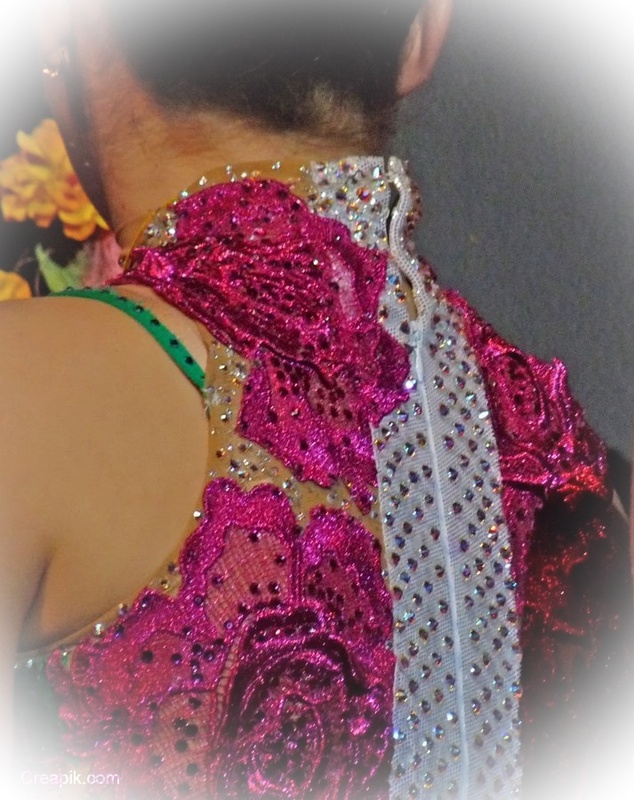 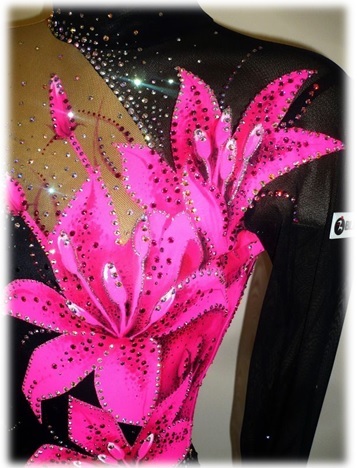 Here are some close ups of international gymnasts leotards. 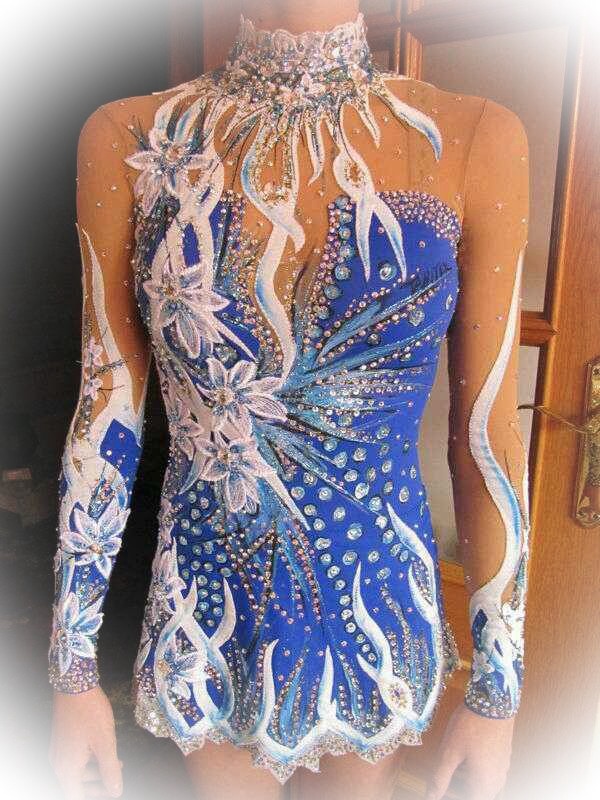 This one with a picture of a gymnast in its back. 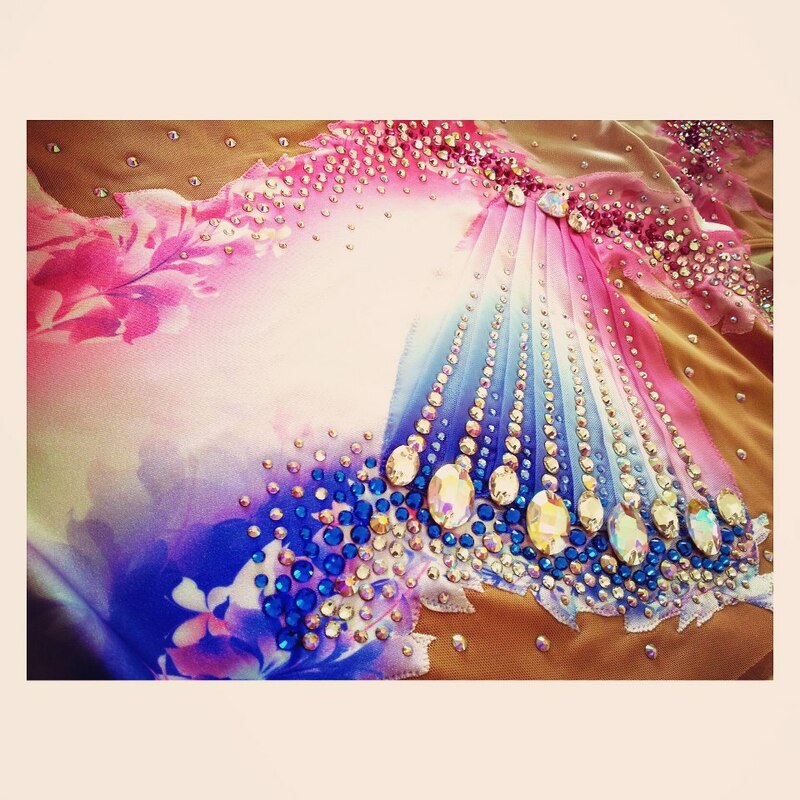 It was worn by Evgeniya Kanaeva, Alexandra Merkulova, Elizaveta Nazarenkova and Margarita Mamun. 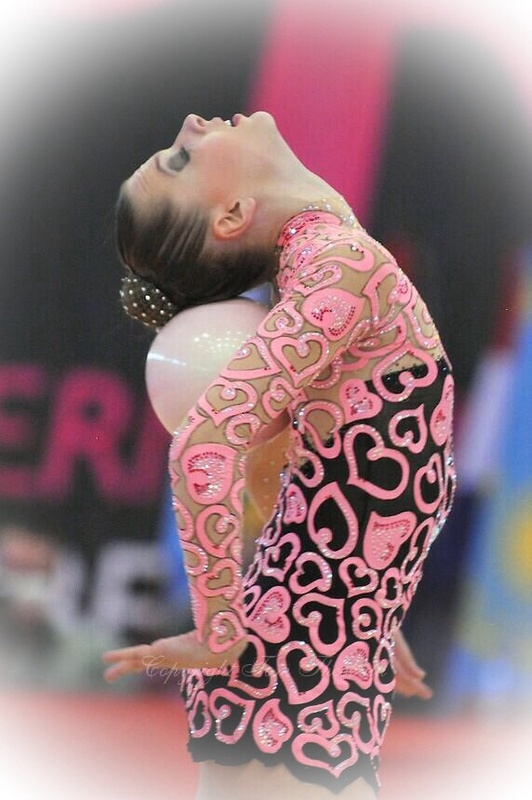 “The hearts leotard” by Melitina Staniouta, was one of the most inspirational leotard. 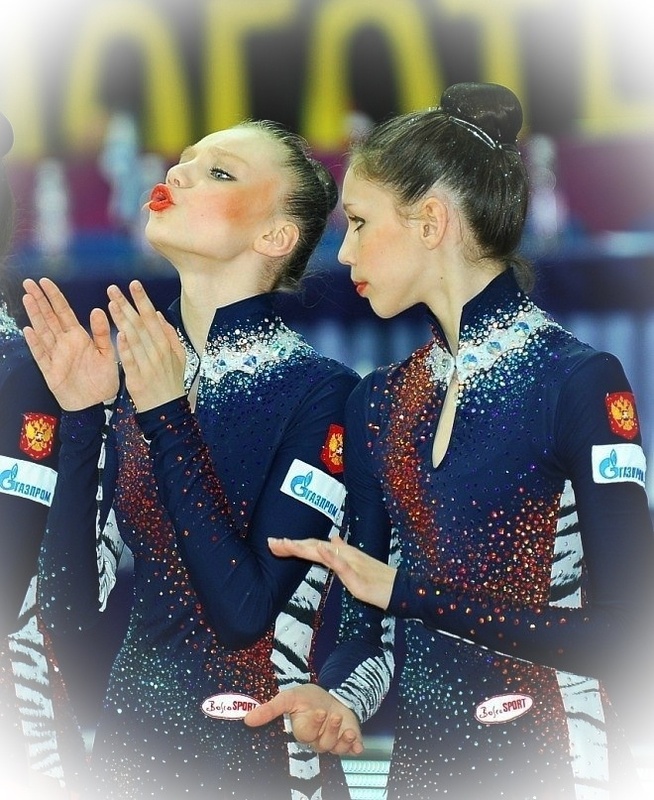 Leotards are the one-piece garment that gymnasts wear in their exercises. 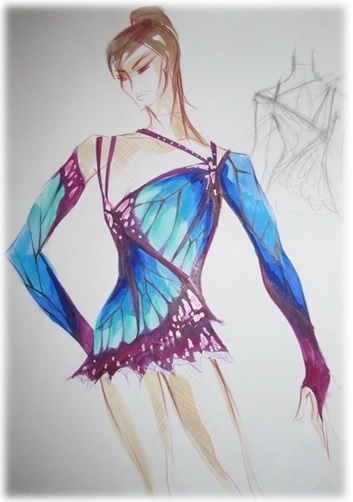 Since 2001, COP allows leotards with or without skirts and unitards (since 1993) . 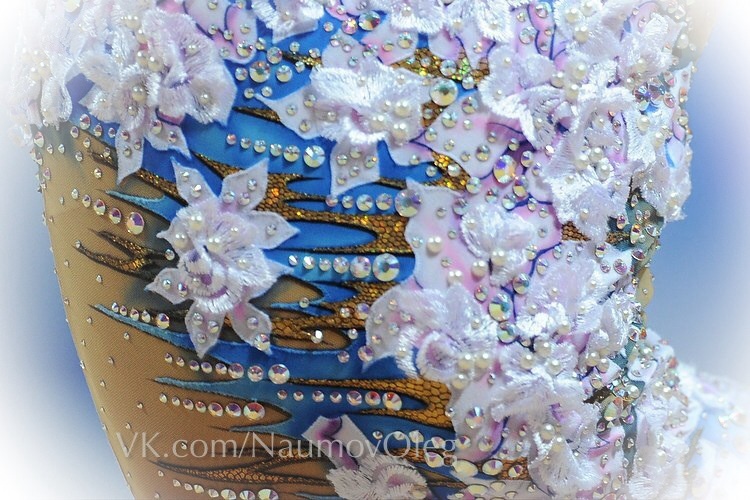 The skirt should fall down on the hips and “tutu shape” is forbidden. 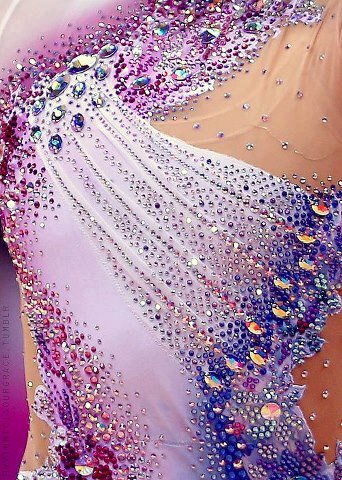 Its length should not go lower than the pelvis. 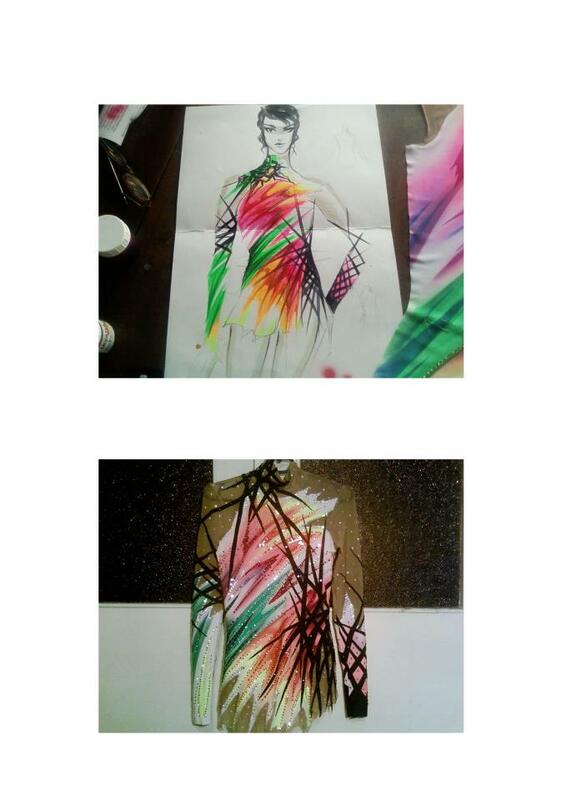 Tights are also allowed. 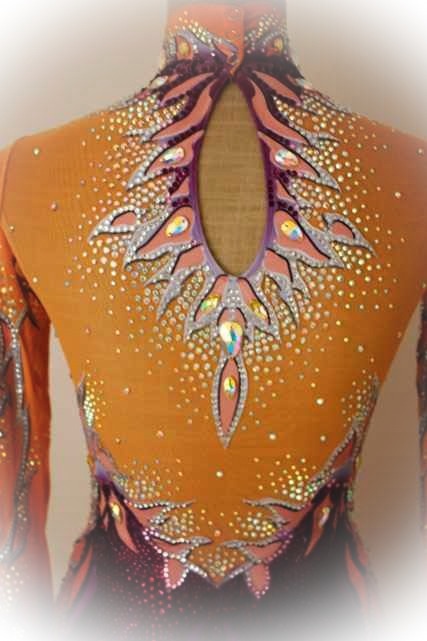 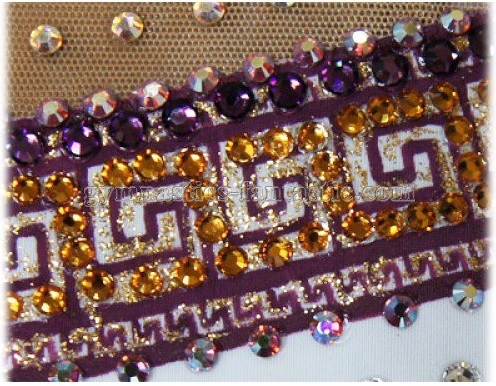 Some years ago, leotards were embroidered with sequins and glitter, but nowadays they could also have Swarovski crystals on them. 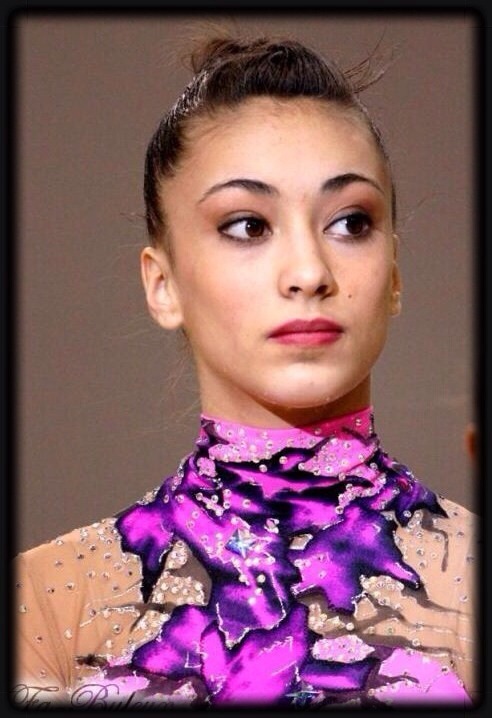 Once in Thiais GP, Almudena Cid forgot her leotards at the hotel, so that Alina Kabaeva lent her leotard to her.